Abarth is, without a doubt, one of the men who most fuelled the passion for sports cars after the war: a former motorcycle rider, in 1947 he began to produce silencers with the symbol of the Scorpio (his zodiac sign) that gave horsepower and music to modest production cars. He then added the production and sales of parts for the development of engines, especially Fiat, then the dominant brand in Italy. 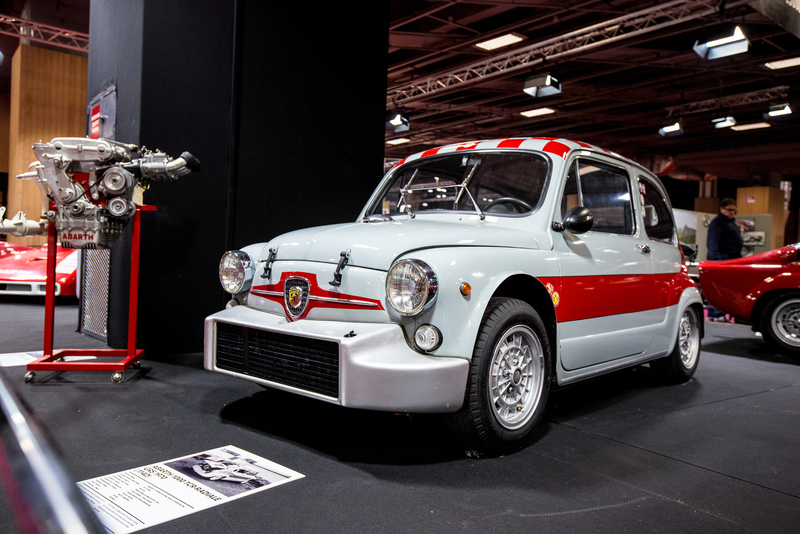 The 500 Abarth, followed by the 595 and 695cc, but above all the development of the Fiat 600 into the 750, 850 and 1000, led the Abarths to dominate the races. 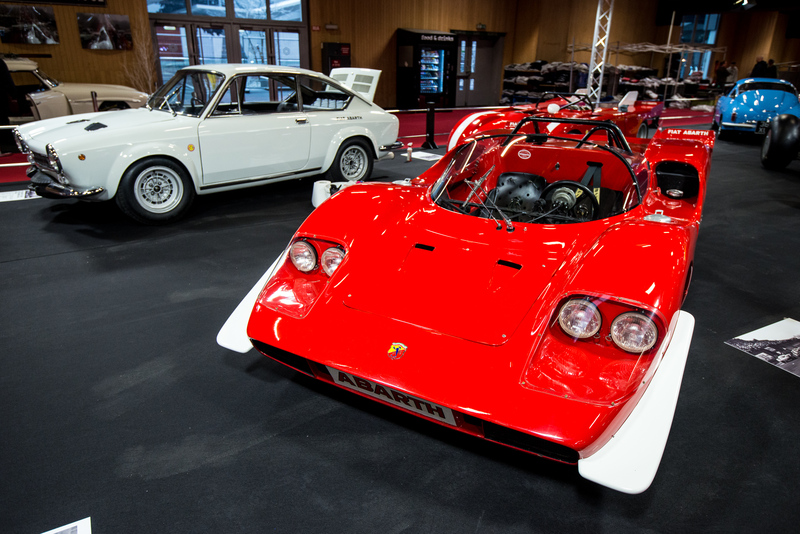 The 850TC and 1000TC, where TC stands for Turismo Competizione, were unbeatable. In the fifties and sixties a new category of racing car was born: the Gran Turismo, based on production cars built in small series and approved for road use. It was here that Abarth met the Zagato brothers and the magnificent 750 and 1000 were born, featuring a double-hump roof called the “double bubble”. Light, balanced and powerful, Abarths were also huge in then very popular specialty: uphill races. This meant a large number of customers who ask to be able to grow up behind the wheel of cars with the Scorpio. Abarth, starting from a Simca base and a twin-cam, first created the Abarth Simca 1300 and, later, the GT and sport boat versions, up to 2000cc. 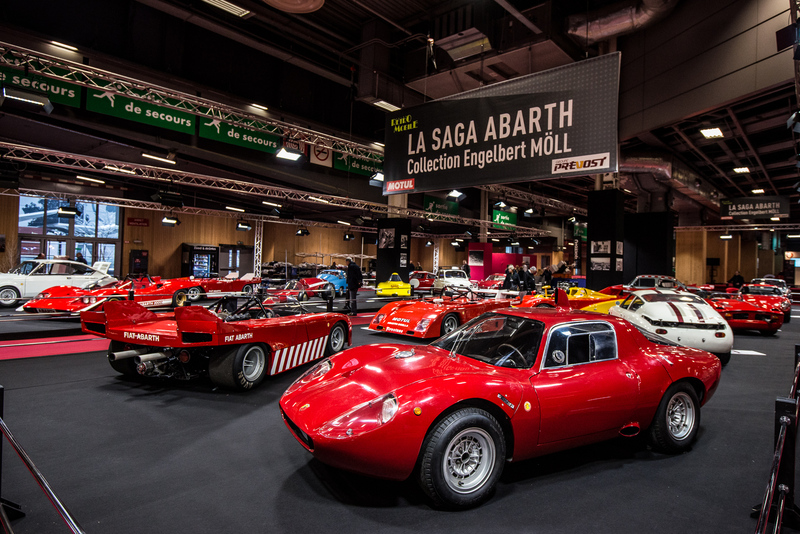 Carlo Abarth, having put aside his dream of being able to take part in Formula 1, sold his company to Fiat, and his name was honoured thanks to the great victories in the World Rally Championship from the Group cars that kept the Abarth brand name. A revolution: apparently a small box, the two-door Fiat 600 saloon was transformed into an authentic racing car with 85 horsepower, a great torque and capable of 195 km/h! The large fairing radiator, the four-in-one exhausts and the windscreen wipers connected by arms. Like in the Prototypes, accentuate its charm. In 1965, there were not many engines capable of exceeding 100 horsepower per litre. The small four-cylinder engine of Simca origin, transformed into a twin-cam by Abarth, had 147, which meant 111 horsepower per litre. Magnificent, as a touch to the purity of the line, the small air intake periscope on the roof. Not everyone knows about the friendship between Ferry Porsche and Carlo Abarth. 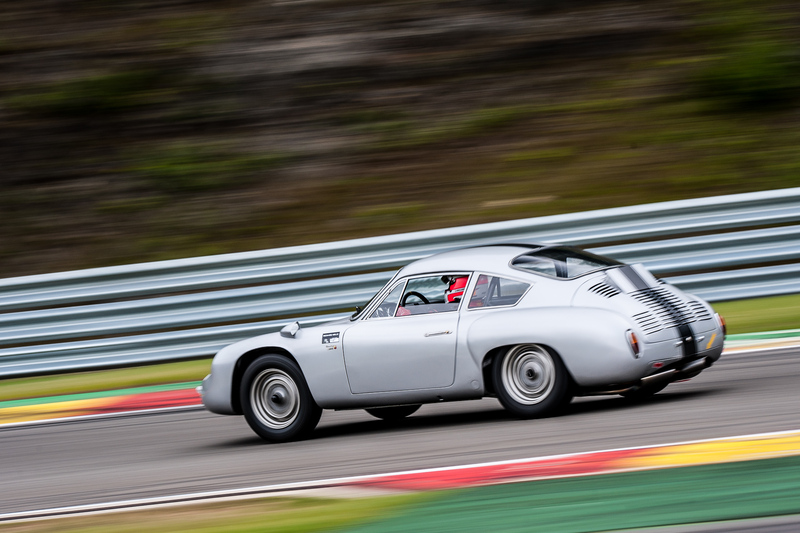 Perhaps this facilitated the order of twenty lighter and more aerodynamic 356 cars, built in Italy with platforms and engines supplied by Porsche, to be destined to the competition in the GT category. Abarth’s work, started in 1959, gave excellent results in competition but did not fully meet the standards imposed by Porsche. For this reason the order was limited to 20 cars, but here too the craftsmanship of the Italian-naturalized Austrian manufacturer lead to excellent results and prestigious victories, starting from the debut at the 1960 Targa Florio. At the end of the ‘60s, with its 250 horsepower and only 575 kilos, this barchetta won both uphill, in the European Mountain Championship with Hans Ortner, and on the track, in the old Nürburgring with Merzario and Shetty behind the wheel. The four headlights and the large wraparound windscreen indicate the vocation of the car also for endurance races. All images copyright and courtesy of Julien Mahels.